We would like to thank everyone for their words of comfort and support during this difficult time. 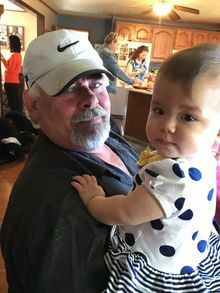 John Curtis Paine II, 60, of Fayetteville, (formerly of Attica, NY) died February 4, 2019 surrounded by family. Born November 8, 1958 in Warsaw, NY, he was the son of Janet Gill Paine of Batavia, NY and the late John Curtis Paine I. Along with his mother, John is survived by his son, Curtis Paine and daughter-in-law Cassandra Chen of Tonawanda, NY; son, Brandon Paine of Burlington, NC; sisters, Lisa Paine of Cambridge, MA, Linda Paine-Hughes of Batavia, NY, and Lori Paine of Baltimore, MD; granddaughters, Sydney and Savannah Paine; his beloved dogs Pinx, Monkey, and Mandy; several nieces, nephews, uncles, and cousins; and a host of other family members and friends. In lieu of flowers, the family requests donations toward funeral expenses be made to Pinecrest Funeral and Cremation Services, 4721 Dunrobin Drive, Hope Mills, NC 28348. John was a loving son, father, brother, grandfather, and friend who will be greatly missed by everyone who knew and loved him. Additional services will be held in New York at a later date.